Christmas is such a magical time of year, but it’s even more special when you’re sharing it with your little one for the first time! 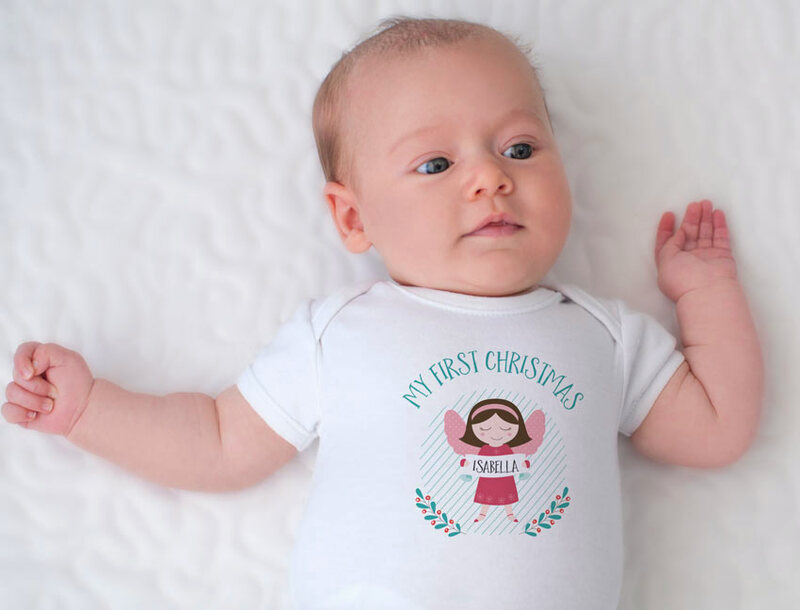 We’ve found some lovely ideas for first Christmas gifts and keepsakes to help you remember this wonderful milestone for the newest addition to your family. These gifts would also be perfect for any family or friends that have recently become parents this past year! 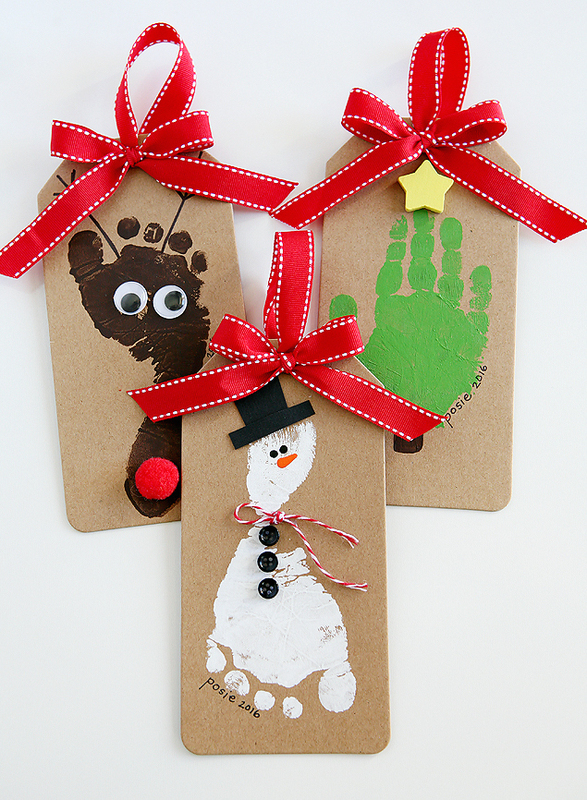 These gorgeous DIY hand and footprint ornaments are super easy to make and will be a treasured reminder of your little one’s very first Christmas for years to come. Make sure to put the year on the back of the ornament and you could make a new version every year! 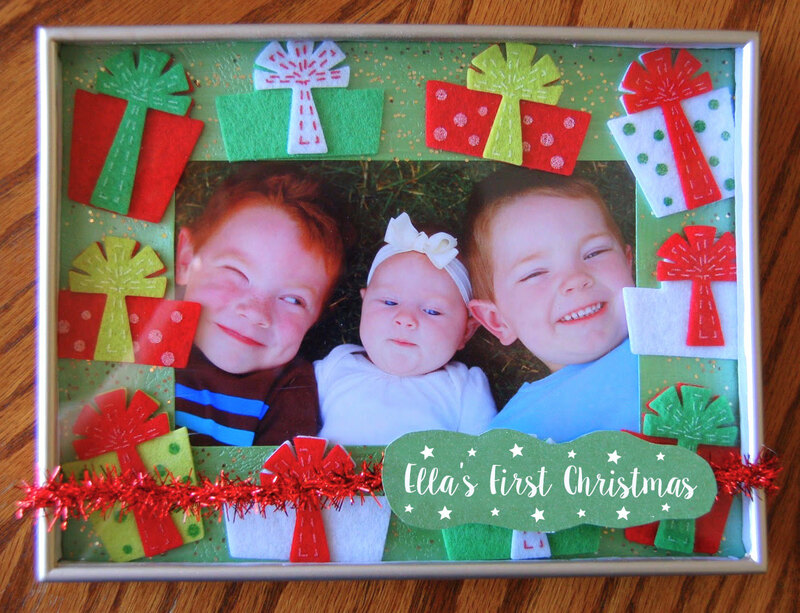 Break out your craft supplies and have a go at creating your own 1st Christmas picture frame! You can customise these frames to suit your home’s decor or you can go crazy with Christmas colours for this adorable keepsake. This wonderful range of Christmas clothing come personalised with your baby’s name and are made from soft 100% cotton. 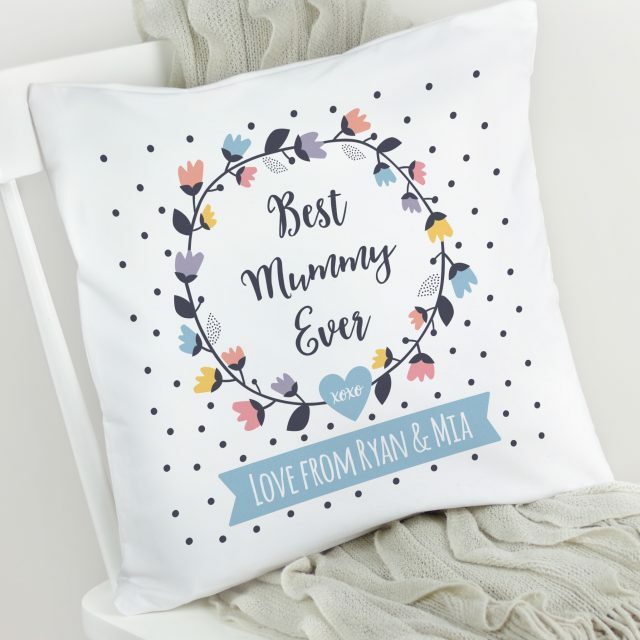 There are heaps of adorable designs to choose from and they make wonderful gifts for new parents! Gather all the bits and pieces from your little one’s first year and create one of these amazing framed collections. What a lovely way to remember and display these important keepsakes! You can hang this one in your baby’s nursery too so you can enjoy these lovely memories all year round! Milestone cards make for a wonderful Christmas gift for family and friends who’ve had a baby recently. 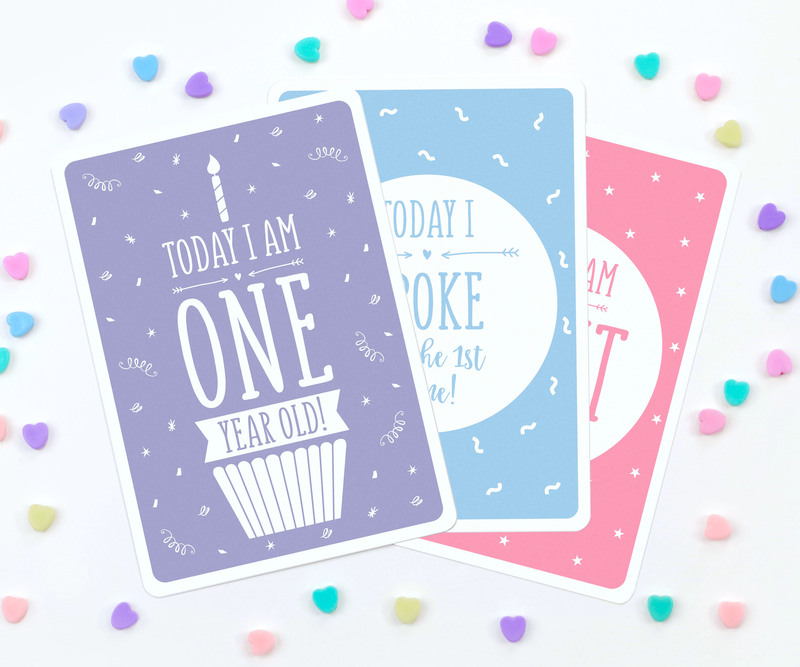 These cards come personalised with your choice of colour and name for the title card and feature cute milestones, perfect for photoshoots as your little one grows! 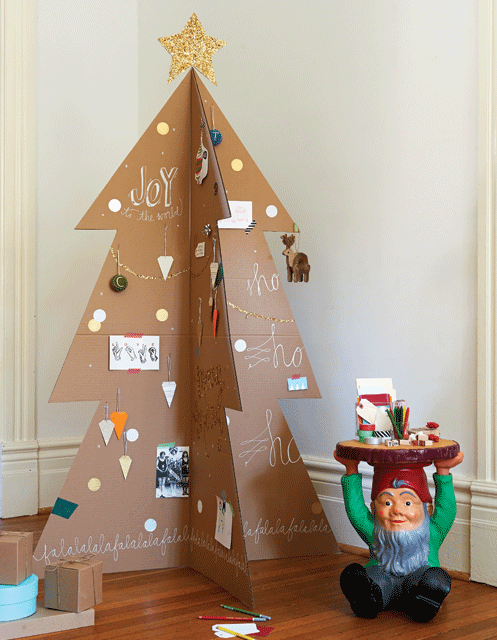 You can create some absolutely magical images of your little one with your Christmas decorations in the background. Grab a friend who is great with a camera or have a go at staging and shooting these pictures yourself! 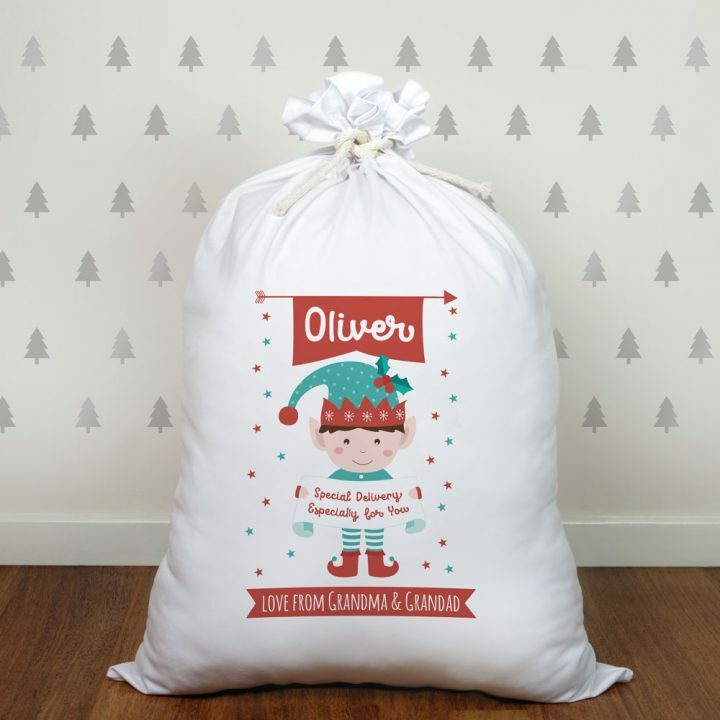 These adorable personalised Santa Sacks come in small and large and are a gorgeous gift for any loved ones who’ve recently had a baby! There’s a huge range of designs and they make for adorable keepsakes to help you remember their very first Christmas morning! 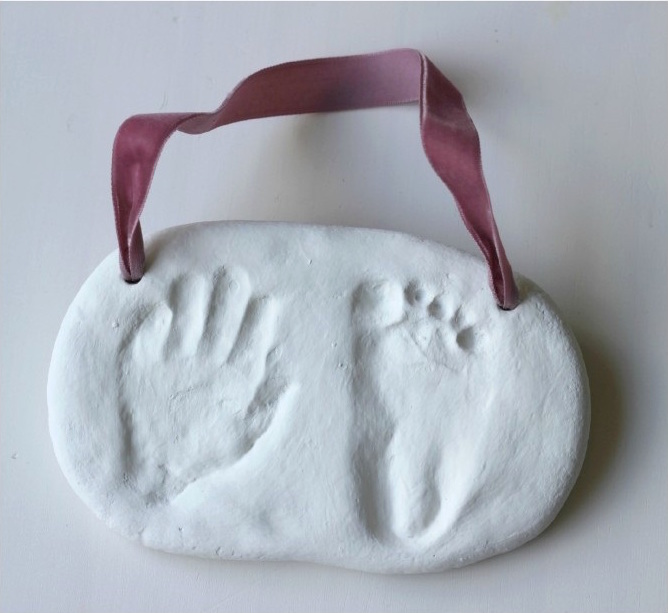 You’re sure to treasure having one of these sweet hand & footprint keepsakes for your Christmas tree! The instructions are really easy to follow and the results are amazing! Create your own and feel free to send us pictures if you do! 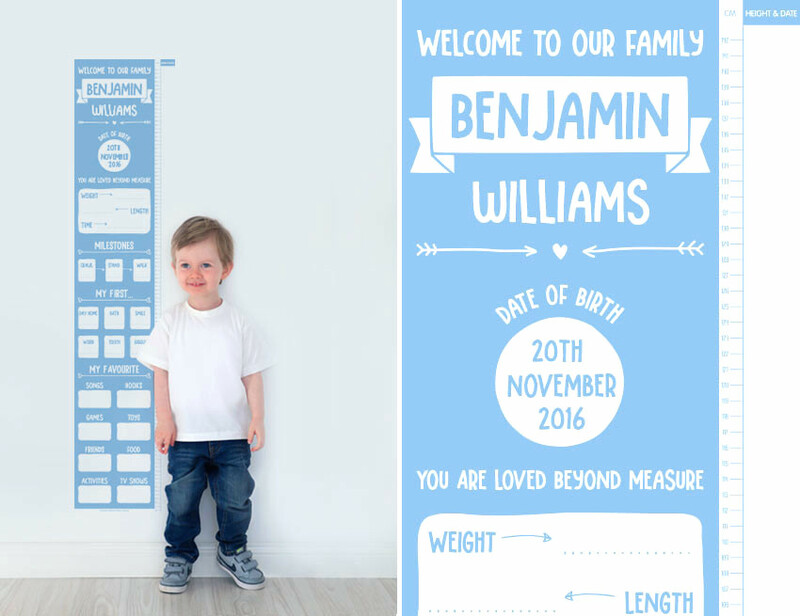 This milestone height chart would make a wonderful gift for newborns as it comes printed with their name and date of birth. Enjoy watching your little one grow throughout the year with these amazing customised designs! 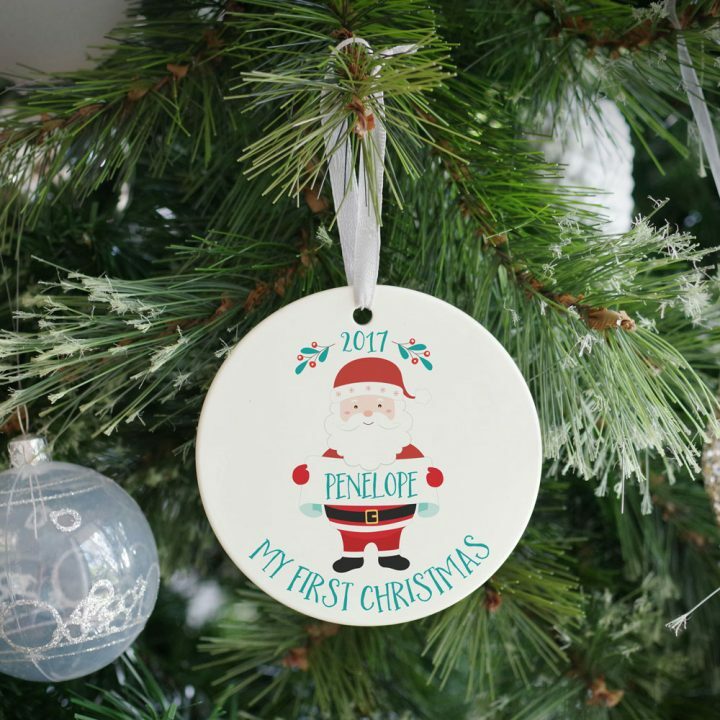 These adorable personalised ornaments come printed with your baby’s name and the year, making them wonderful gifts for loved ones with newborns! There’s a huge design range to choose from and they are fantastic quality so they will last and last. They even come with a free gift box! 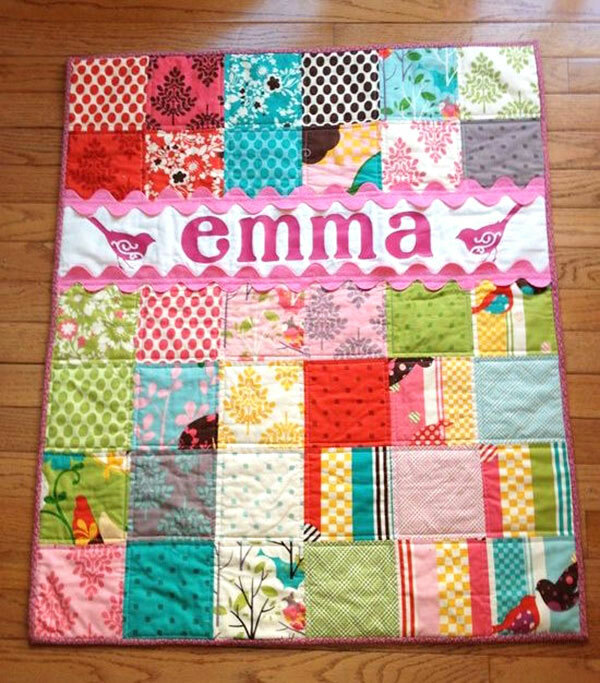 These amazing blankets are made from the clothing your little one has outgrown this past year. 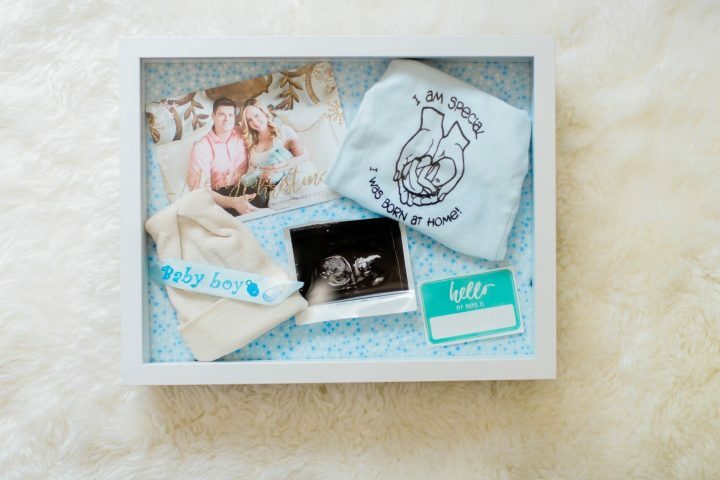 This is a fantastic idea so that the clothing you’ve purchased gets new life and use, plus it gives you a keepsake full of memories to treasure as your little one grows! 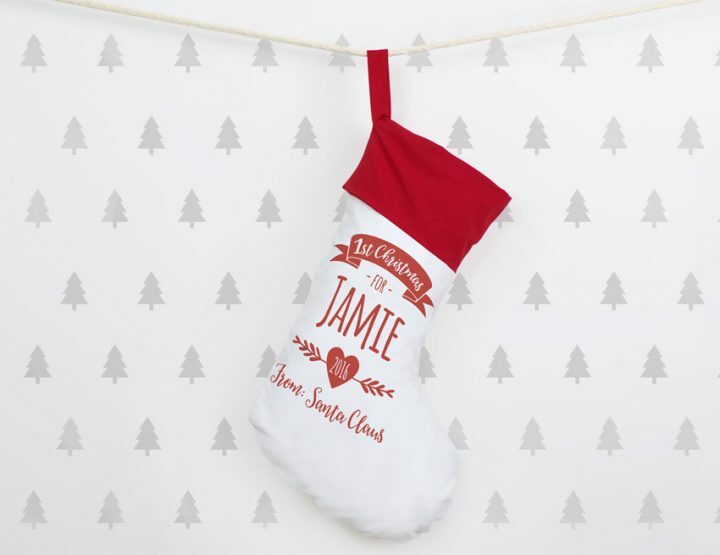 Personalised Christmas Stockings are a gorgeous keepsake to remember your baby’s very first holiday season. This adorable stocking comes printed with their name and the year and you can choose the colour too! 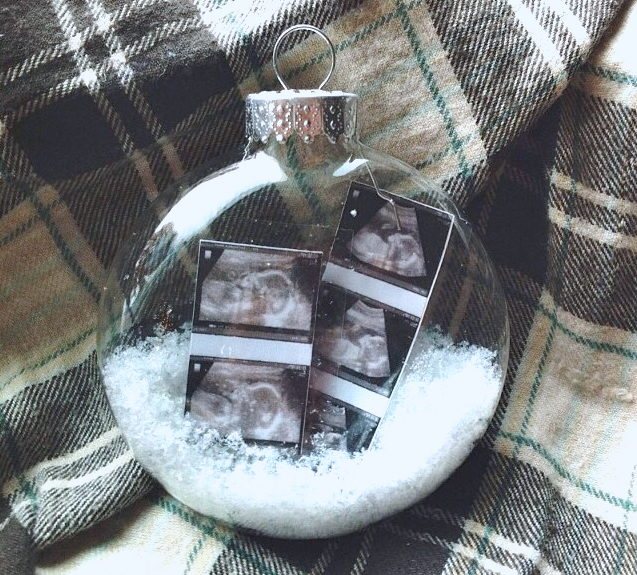 Ultrasound Baubles are perfect for expecting parents who’s little ones didn’t arrive in time for Christmas. These baubles could also be used for your pregnancy announcement to your loved ones as an extra surprise on Christmas! We hope you enjoyed reading our list of baby’s first christmas gift ideas! We love receiving photos, so if you try any of these ideas please feel free to send us your snaps!